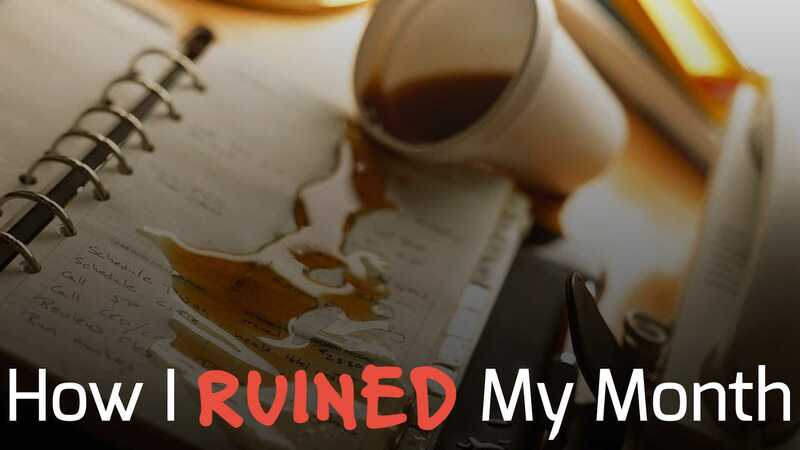 I really wish I was not right here, right now, writing this blog post. I will be upfront with you, it is very embarrassing to put this out here publicly, but that’s why I want to do it. No one likes to make mistakes, admit mistakes and worse yet, publicly talk about them like I am about to do. In other words, my main motivation for writing this is to shame myself into not repeating the inexcusable mistake I have made. On top of this, if people can learn from what I allowed to happen, then that is a great thing! First off, I want to say that none of this is an excuse. This mistake was solely my fault and the only person to blame is who I see in the mirror every day. The point of setting up this context so people can hopefully be able to relate to me and therefore learn how to avoid what I allowed to happen. I am a very competitive person by nature. Whether it be in sports, business, or board games… I am very competitive. I would argue this personality trait is needed to have any chance at success within trading; however, as a basic economic principle states: there are always trade-offs. In this case, I fell into the trap created by winning streaks. Because I am so competitive by nature, I found myself in a situation where I had a chance to break a new personal record. What was this record I apparently cared so much about? As trivial as it may seem, this record had to do with the number of consecutive winning days I’ve had in my trading career. Below you can see a screen shot (click image to enlarge) showing this record of 13 winning days in a row. While hard to read, looking at the dates to the far left, you can see this is from 2009, so yes, this record has been around for quite a while within my trading career. On a side note, this is why I always laugh when people say charts are random, a “flip of the coin”, don’t work, etc. I mean sure, a few winning days in a row could be produced by something that is random, but 13 winning days in a row? For something that is supposedly a “flip of the coin”, 13 green days in a row seems sort of unrealistic (I’d love to see someone flip “heads” or “tails” 13 times in a row). Anyways… I’m getting off topic. For me, having seven to nine green days in a row is pretty common. I don’t say this to brag, I say this to provide context to the psychological state I was in before I made my mistake. So then June 29th rolls around… a Monday… a brand new week. I see CyberArk Software, Ltd. (CYBR) trading in a pattern that I like, so I put together a trade plan, and hop in. Wow… that trade is embarrassing to admit. Ugh… please don’t think I’m a terrible human being! Haha (this is the “I am so embarrassed” type laughter). What is the moral of the story here? We all have voices in our heads. If you haven’t traded yet, don’t you worry, once you get real money on the line, they’ll come talk to you. When you listen to the voices that are telling you to break the rules of your plan… the above is what can happen. I assure you, it is not a pleasant experience… at all… not even a little bit. I may have been very stupid on this trade, but the one thing I’ve learned is when you do something stupid, admit it and then implement the damage control rules. I have tried revenge trading many times, and many times the results of revenge trading are not favorable. After telling my moron voices to SHUT UP, I put into place this very basic, yet highly effective trick of reducing position size which kept my risk under control the remainder of the day. Looking back up at the monthly statement, you will notice I actually closed the day down “only” $3,047.72, so I was able to salvage $640 the remainder of the day. Did I make back my losses? Nope. Did I come even close? Nope. Did I ensure that the hole did not get any deeper? Yes. And THAT is the important part. Don’t let one bad trade spin out of control and affect the remainder of your day! I did the second thing right by, once again, implementing the position sizing trick the next day to ensure I didn’t put a dent into my month any further. Like I stated with the logic above, did making $379 even come close to digging me out of that hole? No, it did not, but it ensured I would still have a green overall month. If I listened to my disciplined voices, I would have lost $500 on CYBR. I then made $640 the remainder of the day. 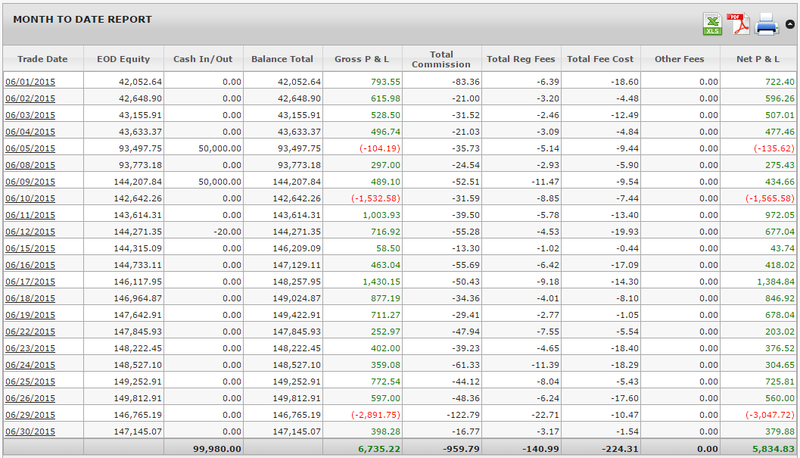 I then closed the final day of June green in the amount of $379. More importantly, that would have put me at just around $9,000 on the month… INSTEAD of where I closed at $5,800, to me, that’s a pretty big difference. And to think, I could have had a solid summer month, a new winning streak, but because of one single trade where I listened to the dumb voices, it turned me into a dumb trader and the final picture is much different. I plan to personally refer back to this blog post whenever those “winning streak voices” pop back into my head, so I plan on learning from this experience. I hope you do too! Trust me, it’s much better to learn from SOMEONE ELSE losing money than you losing your own money and having to learn. When you set up a plan, follow it. Don’t focus on things that don’t matter such as winning streaks, because as you’ve seen, when you focus on the wrong things, all it takes is a single trade to really put a damper on the party. Have you ever been here before in terms of doing something really dumb? Please take the time to share below in the comments section. I think it could be really cool and helpful to collect a group of “dumb things” people have done so that future traders are hopefully motivated on what NOT to do.